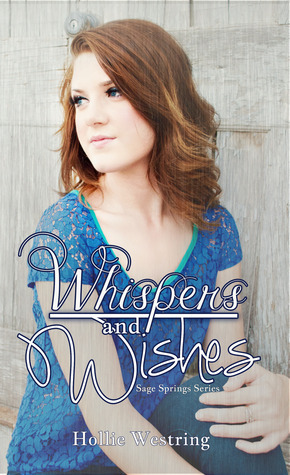 Whispers and wishes centers around Eliza and the last three years of her life, hiring an investigator to find the mother she never got to have a relationship with her whole life and being sent from city to city by him in search of her. Living out of a suitcase for three years straight except a week in September isn't ideal, three years later with no answers on where her mother is she heads back her grandmothers inn for an extended period (longer then her usual week) and is stuck on whether to stay or take off again. There's her ex boyfriend, yet gorgeous Jake who has been there for her her whole life and then new guy Gavin is in the picture, the super hot bad boy with a sports car. Eliza's heart strings are pulled this way and that, she must decide whether she goes with her head or her heart whilst battling with bitchy Bianca, a inn that could close down, a naked grandma and old friends as well as new and then there's her mother. I've never been so confused about a novel before, but I guess that's what keeps you reading. Whispers and wishes is so very quirky with lots of twists and turns; with a paranormal twist that kind of has you confused but at the same time doesn't over take the plot and keeps you drawn in. It's easy to connect with each character - they are very likeable with different personalities. There's a jaw dropping love triangle with some major twists. I didn't expect the major bombshell to be dropped, but it was major and I was left shocked. It was easy enough to picture this small town, I imagined an old fashion town with few streets, a couple of homes, with the inn and a big house where Bianca lives plus a couple of shops and a small cafe. A long, curvy road driving out of town, through a forest. A small network of people with everyone knowing everyone's business. What I loved about the whole novel were the twists, the author wrote it one way so it looked like it would happen (if you're good at guessing plots) yet, it went the totally opposite way. After the book picked up I didn't want it to end. The second book in the series Sage Springs #2 is out May 1st. I'm sold on the beautiful, mysterious haunting town of Sage Springs and look forward to this next read. Novel was sent to me for review purposes, all opinions are my own.